The initial coin offering (ICO) has become a viable if controversial means of raising capital and growing a user base for start-ups around the world. ICO issues raised about US$5 billion worldwide in 2017, 20 times the total of the year before. As the business world grows increasingly digital, with new start-ups, apps, and websites popping up every day, early-stage companies with no established track record turn to alternative methods of fundraising. One recent common strategy is the ICO, which sees companies issuing digital or virtual currencies that use cryptography for validation and security and selling them to investors as “digital tokens.” In an ICO, firms sell their own newly minted virtual tokens to investors in exchange for Bitcoin or other cryptocurrencies. Issuers publish a “white paper” beforehand, describing the firm’s business plan, what they intend to do with raised amounts, why the token is integral to their business, and the risks to investors who buy them. For issuers, ICOs are much cheaper than the traditional initial public offering (IPO), but stock exchange listings are subject to checks and balances while the ICO environment is still largely unregulated. Contractual obligations are not as clearly defined as with a stock or bond, and the information provided by an ICO issuer is often limited. Importantly, there is no clear path for legal redress when an ICO investment sours. And in Asia, there have been many bad deals. A Vietnamese cryptocurrency company raised US$660 million from 32,000 people before vanishing with the proceeds. Japanese police are investigating a US$68 million alleged cryptocurrency-based pyramid scheme. A case of fraud amounting to US$24 million ensnared a top Thai actor and a leading Bangkok stockbroker. In Singapore, investors in Bitcoin scams have lost at least S$78,000. All this occurred over the past year. In 2018, Bank of Thailand Governor Veerathai Santiprabhob defended cryptocurrency after a series of high-profile fraud cases, saying that financial fraudsters were simply using blockchain technology as another medium to commit wrongdoing. Unsophisticated investors buy ICO tokens, often across national boundaries through the internet, assume financial risks they little understand. Governments normally protect such people by limiting sales of regulated securities to accredited retail and institutional investors. But ICO tokens are not easily classified as securities because they lack equity-type features (like dividends). So government regulators ignored them at first.Digital tokens issued in ICOs are also notoriously resistant to accurate valuation, especially at an early stage, and actual investment values in the long term are difficult to estimate. 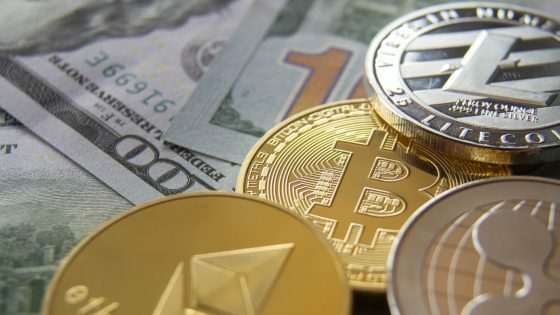 Last year, ICOs in digital asset markets were highly volatile, given the wide swings in price of major cryptocurrencies such as Bitcoin, which reached a high of more than US$19,750 in December 2017 before slumping to US$3600 in February 2019. Thus, investors are becoming increasingly conservative in their view of cryptocurrencies and more skeptical in their optimism about the future of ICOs. The center of gravity of digital asset markets has already moved to Asia, putting national regulators in the global spotlight when it comes to ICO regulation and oversight. While China and South Korea have imposed stricter regulations on digital assets with a clear intention of strangling the proposed asset class at birth, Japan, Singapore, and Thailand have taken a more liberal approach by outlining a clear regulatory framework with an objective of increasing the quality of issuers as well as protecting investor rights. With this approach, Japan, Singapore, and Thailand are looking to become regional, if not global, cryptocurrency hubs. A critical question is how to balance the interests of regulators, issuers, and investors in digital assets. Japan, Singapore, and Thailand have introduced progressive and careful oversight. Japan is one of the leading Asian nations in terms of accepting cryptocurrency and blockchain technology. The Japanese Financial Services Agency introduced a regulatory framework in early 2017, and it has since been revised to include more investor protections in order to mitigate crypto-specific risks, including fraud, hacking, and margin trading. The Monetary Authority of Singapore (MAS) has issued strict guidelines for digital assets. A digital token constitutes a product regulated under the securities laws administered by MAS; thus, the offer or issue of digital tokens must comply with the applicable securities laws. In Thailand, ICOs are overseen by the Digital Asset Business Decree, and the main regulator is the Office of the Securities and Exchange Commission. In general, issuers in these countries need to file a white paper, or prospectus, with relevant authorities. However, Singapore exempts offers that do not exceed S$5 million (or its equivalent in a foreign currency) within any 12-month period and private placement offers made to no more than 50 persons within any 12-month period. With respect to types of investors, Singapore has no rules that prohibit specific groups, while Thailand limits individual retail investors to no more than 300,000 baht per offer, though there is no limit for high-net-worth and institutional investors. Part of the ethos of cryptocurrencies is that they are decentralized. However, there are several critical issues that need to be addressed for regulators and investors to be comfortable with cryptocurrencies, such as compliance with “know your customer” and anti-money-laundering (as well as anti-terrorist-financing) requirements. Japan and Singapore have long emphasized such issues through guidelines. Japan, Singapore, and Thailand are looking to become regional, if not global, cryptocurrency hubs. There are also tax implications in some jurisdictions. Singapore imposes no capital gains tax, but does levy a 7% value-added tax (VAT) on utility tokens as well as imposing a 17% corporate income tax. Thailand levies a 15% capital gains tax on all tokens as well as 7% VAT and a 20% corporate income tax. Singapore and Thailand are the only two countries in Asia that have formal classification standards for digital tokens and digital assets such as cryptocurrencies. The key difference between these two types is that the former is the determinant of right while the latter is the medium of exchange. There are three major types of tokens: utility tokens, which support services or functionalities on blockchain-based platforms; investment tokens or security tokens, which have the characteristics of a security with income-generating components; and asset-backed tokens, which provide underlying exposure to assets such as real estate. Japan is leading the way in Asia in terms of the development of ICOs. First, it has embraced the adoption of cryptocurrencies as a medium of exchange. Currently, cryptocurrency is more widely used in Japan than anywhere else: one-third of Japanese adults have used a cryptocurrency as a medium of exchange. Another important advantage is Japanese investors’ ability to trade cryptocurrencies in a secondary market. The Japanese Financial Services Agency has formally approved the Japanese Virtual Currency Exchange Association as a self-regulating organization to provide oversight, a status that empowers the body to set operating rules for the nation’s exchanges and to take action over any violations at the 17 approved secondary exchanges in Japan. Despite the explosive growth of ICOs in recent years, Singapore has begun to adopt a new model of raising capital in digital assets, the securitized token offering (STO), which can be viewed as a specialized form of corporate finance in which investors have voting rights and can receive dividends, neither of which features in ICOs. There are significant implications that come with an STO, as investors have direct economic exposure to a company’s financial returns with a high level of transparency and disclosure. In contrast to ICOs, which target mainly retail investors, STOs would attract more high net worth and institutional investors. As the regulatory picture becomes clearer in Singapore, we expect fewer ICOs and more STOs in the near future. These are tokens pegged to underlying assets, and are increasingly regulated in the same way as securities. As Japan and Singapore continue to take the lead on digital assets, there is an urgent need for would-be competitors such as Thailand to introduce regulations regarding STOs. This could strategically transform the Asia-Pacific market for digital assets. Lee, David, and Linda Low. Inclusive Fintech: Blockchain, Cryptocurrency and ICO. Hackensack, NJ: World Scientific Publishing Pte., 2018. Polkuamdee, Nuntawun. “B500m Limit Suggested as Mechanism to Curb ICO Risk.” Bangkok Post, March 16, 2018.